It is time to dust a fishing rod and recall how to fish! You didn’t have an opportunity to try? It is the best moment! A photo wallpaper depicting the fish pond, thanks to vivid colours, will impart a brilliance to a child’s room. 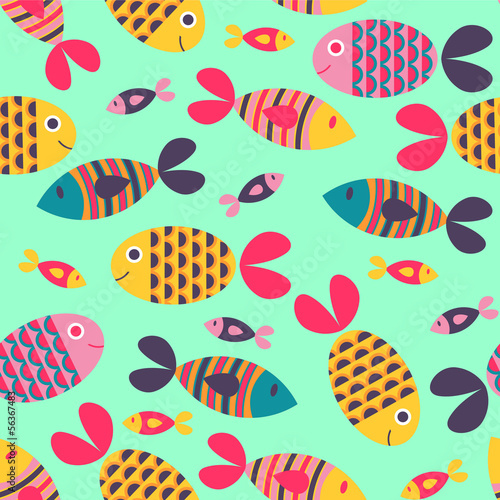 Multicoloured fish will turn up vibrancy of a room and will make your child feel like exploring the world.